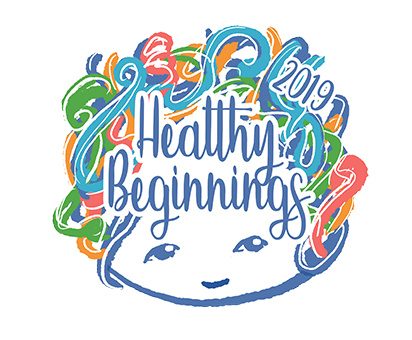 What is Big Kids Club's Healthy Beginnings 2019? Every afternoon, from December until February, our teachers present a structured educational program that will allow our preschoolers to find Healthy Beginnings. 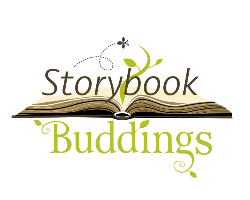 Weekday classes run from 1 - 4 pm everyday at Broadway and Storybook, and develop over the 12-week season. Sign up for your favourite classes every week, or mix and match across the board. Read below for class details! Are you ready to be a super hero? In Kezia's Super Natures class you get to be one! As a class, our big kids will get the chance to defeat real world villains together through team work! But what does it mean to be a Super Nature? Our big kids will learn to defeat real world issues such as deforestation, plastic pollution, and animosity. Learning about different ways to keep our world clean by preserving nature is an excellent way to introduce awareness for the environment. We are happy to announce that BKC masters Talia and Sarah will be co-teaching Monday's class called Looking Up! If you like to appreciate the air we breath, or the creatures we share the sky with, then this class is for you! This topic doesn't end there because our Big Kids will be taught that "Looking Up" is more than just a direction. It is a feeling, mindset, and way of life! The history class that you have been waiting for is finally here! Civilizations is a year long program that will dive into the ancient world of Egypt, Greece and Rome during the middle age. For the Winter season, Aïda will first introduce Egypt. Join this class to learn about Faraons, Pyramids, Mummies, and more! Egypt's history is full of rich stories, and through numbers, art, and geography, our Big Kids will never have a "mummified" moment! There are heroes that live among us everyday. Every Tuesday at Storybook, we will celebrate them. Our Big Kids will learn about what is means to be a good citizen. We will learn about firefighters, police officers, medical practitioners, and what impact they make in our society. Through this class, our big kids will be molded into citizens that have great love for humanity, as they learn that "not all heroes wear capes." We will draw from inspiration from everyday heroes, as we learn to be the best person we can be! They say that books are the key to knowledge. In the class Healthy Storytime, Ayumi will open the doors to the healthy food world using her literary keys from Japan! Every week Ayumi will introduce classic Japanese stories that will inspire our Big Kids to eat healthier through handmade books, puppets, and picture cards! This class will enhance cultural awareness by broadening their understanding of the Japanese culture, and enhance their taste buds too! The history class that you have been waiting for is finally here... and it's happening twice a week! It's winter time! This season, Tomomi teaches that exercise continues, even through hibernation season. In her Health is Wealth class, she will teach her Big Kids about the importance of a healthy lifestyle! Our big kids will have tons of opportunities to enhance their gross motor skills through group movement activities. Best of all, Tomomi will remind our big kids that a healthy lifestyle doesn't end with exercise. Tomomi will introduce healthy food and the benefits this will have to a healthy body and mind. Inspired by her artistic background, Anna introduces Art Therapy during the winter season! She believes that there is an artist in all of us. Art Therapy class will help every big kid set their inner Artists free! Our Big Kids will have the opportunity to enhance their fine motor skills through painting, drawing, clay and much more! This class will surely enhance art skills, techniques and mould our big kids into creative individuals! Most of all, preschoolers will have the chance to express themselves through art this will increase their self esteem! "If at first you don't succeed, try and try again!" Chelsea is back for her second BKC season as she helps mould scientists, engineers, and inventors of the future! Begin Again is an inventions class, and through creative thinking and brainstorming, our Big Kids will continue to develop and enhance their problem solving skills. This class will revolve around three important steps when inventing: Think, Create, and Share! We say Bonjour to Elsa as we welcome her in her first BKC season! She will educate us on a topic she loves the most: French! Join Elsa as she teaches her Big Kids all about the second official language of Canada! What is the best way to learn a language? To use familiar songs and tunes! Do you know how to sing the alphabet in French? Elsa can teach us! Best of all, she can sing and play the guitar while teaching French.